Years ago I went to SFMOMA and saw the work of Joseph Cornell, maker of strange wonderland boxes. His art was new to me and entrancing: surreal and nostalgic and beautiful. I went to see the show again, and read a couple of books about him. And years after that I wrote a character into my novel Twister who I realized has the spirit of Joseph Cornell: alienated, sexually repressed, and maybe a little creepy, but acutely observant and creative. My character, Scottie, is not overtly Cornell in any way you’d recognize. He doesn’t make shadow boxes in his mother’s basement in Flushing. But Cornell’s fictionalized spirit is there. Although I didn’t consciously summon him, he showed up when he was needed—he made me see something I might not have found otherwise. Pay attention. This sounds very simple but it is not. Your attention is a gift—don’t undervalue it. Giving it in the right ways will make you a better artist, and months or years from now it may unlatch a trapdoor in a troublesome poem or story draft, revealing something unexpected. Engage with other people’s work. Buy as many books as you can afford, wear out your library card. We writers are ridiculously lucky that novels and stories and poems are our how-to manuals. Reading them closely makes you a more finely tuned writer. And reading the newspaper with an artist’s eye may at times make you nuts, but it will be worth it. Go to readings and poetry slams and open mics. Don’t limit yourself to the art form you practice—attend plays and one-woman shows and drag revues and art galleries and concerts and dance performances. All creative artists are your family. It may be weird and complex, but what family worth its salt isn’t? When you’re paying attention, be there with your full self. Meet the words (or paintings or dance) with your focus engaged and present, synapses firing. Strive to be confounded and captivated by things outside your comfort zone. Delay drawing conclusions. Last summer I signed up for an intensive weeklong workshop led by the actor and writer Anna Deavere Smith. The week, fully of actorly exercises and movement and singing and improv, would culminate in a brief personal narrative presented to a live audience. This was out of character. I’m an introvert and happy to be one; I don’t seek the spotlight. Plus, why would I want to present a personal narrative? I’m a writer of fiction—and not autobiographical fiction, thank you very much. That’s all perfectly fine for other people. When puzzled friends asked what I was hoping to achieve, I chalked it up to a desire to have a creatively challenging midlife crisis. I was so far outside my usual zone I might as well have been trekking Kilimanjaro. But the unfamiliar opened up in me a tremendous capacity for listening. I was present and attentive that week in a way that felt spiritual. Many of the other participants were experienced performers: actors, singers, dancers, comedians (everything I’m not), and very fun to watch. After a mid-week panic attack about the insufficiencies of my narrative, I had a dream that I was onstage with four other people, performing a musical to which I did not know the words; my playbook was blank. Then the dream show transformed and we were moving in unison, humming, a kind of avant-garde dance in which my only assignment was to pick up pebbles and put them in a tin cup. I woke with a visceral understanding that my narrative was not the point of the week. My job that week, a fundamental reason I was there, was to absorb as much as I could and move with other artists toward something bigger than all of us. Focused attention can be relevant to the rest of life, of course: dinner with loved ones, eavesdropping on the bus, climbing mountains, you name it. Art engages us differently, in a never-ending line of inquiry, a conversation with the world. There’s a reason we return to the desk again and again, even when we lose faith and feel like we’re crawling through a cave with nothing but a fading miner’s lamp and a stale biscuit—art is a portal to the mystery. We need to hold up our end of the conversation. We have to show up. This advice may sound naggy and obvious, but I’m telling it to myself. I need reminding. Sustained attention is hard, it takes effort that can feel like muscular exertion. Showing up isn’t often modeled in our culture. We have an increasing number of demands on our attention that don’t lend much lasting value: click bait, big data, small bytes, passive consumption. As writers, we need to focus and re-focus our attention on what will sustain us for the long haul. We listen, we watch, we participate. We engage with the fractious world and with others trying to create meaning through art because the alternative is a lonely, empty shell that’s easily crushed and scattered under the bootheel of the marketplace. I’m not merely saying, pay attention and you will be rewarded with a payoff of creative juju. Or, go to readings and your community of fellow writers will in turn come to your reading or buy your book, because if artists don’t support other artists what hope do we have? All true, but not the whole story. More than that. Paying attention is rooted in the meaning of life. Wait. I’ve got to pause here to confess I have absolutely no credentials, philosophical or otherwise, to support that statement—but I believe it anyway. Our purpose here as sentient beings is largely about perceiving our world. The writer John Jeremiah Sullivan made an observation I’ll probably still be pondering on my deathbed: “Nature became conscious in us, perhaps in order to observe itself. It may be holding us out and turning us around like a crab does its eyeball.” What is art striving for if not this reflective power? I can’t think of a better goal for life and art. How it will show up in our writing is anybody’s guess, but it’s bound to be interesting. 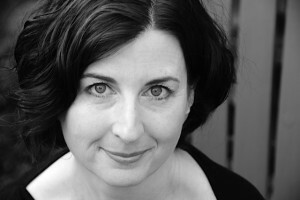 Genanne Walsh is the author of Twister, winner of the 2014 Big Moose Prize for the Novel; it will be published by Black Lawrence Press in December 2015. Excerpts from the novel appeared in earlier form in Puerto del Sol and Blackbird. Other work has appeared in Spry, BLOOM, Swink, McSweeney’s and elsewhere. She lives in San Francisco. Love reading this. And beautiful picture of the author!! Good advice. I’ve seen it stated in other ways. Gabriel Garcia Marquez said something like ‘I’m just a photographer, or I’m just taking dictation.’ He was saying he was paying close attention to the world he saw and then then writing about it in detail. Just by transcribing what you see you can create something beautiful. Nicely put, Genanne.